Smoke. Even long after the smoke is gone, the odor remains. Clinging to fabrics like an unwanted, pungent stow-away on your clothes.There is something about smoke that makes it a particularly stubborn odor to remove. It seeps into carpet fibers, clothes, upholstery, and even drywall. We all know that smoke odor that lingers in a house, or in a car, or on clothes. Smoke particles can be as small as .001% of the width of a human hair, which allows them to penetrate almost any part of a house. Tobacco smoke can easily circulate through a building’s ventilation system or come up through apartment floors.Smoke slips through vents, windows, and underneath doors. If there is a way in, smoke will find it. It’s not in your head, the pollution aspect of smoke is very real. Smoke particles are so small; they attach to pretty much any fiber or surface. Since it is a gas, smoke has no barriers. Easily moving between apartments, rooms, and office buildings, smoke causes serious issues. Tenant/tenant and tenant/landlord disputes commonly arise when smoke odors penetrate adjacent housing units.It is not clear whether tobacco smoke odor is dangerous or if it is merely a nuisance. While tobacco smoke is a known carcinogen, little is known about the health effects of the particles that are left in the air after you can no longer see the smoke; first reported on https://www.nachi.org/tobacco-odor-removal.htm. To be on the safe, healthy side, it is best to remove the odor and particles that smoke leaves behind. Will Home remedies Work on Removing Smoke Odors? There are a plethora of DIY home remedies out there that promise to remove smoke odors from clothing and other fabrics. Using ingredients found in your pantry, it may seem appealing and cost-effective to try out some of the recipes found online.Home remedies have long been regarded as a cheap and efficient way of using goods and materials commonly found in our kitchen pantry and medicine cabinets as a solution to an odor emergency.Today we will cover a home remedy that we come across on the Internet of using vinegar in your wash to remove smoke and tobacco odors. Vinegar, in fact, works similar to an acid to break down some forms of the odor molecules but will not neutralize the odors at the source. In fact, your washing machine manufacturer would strongly disagree with you using vinegar inside of your machine because of its acidic nature vinegar will say eats away and rot the rubber hoses and seals. If these seals are corroded, it can cause leaks in the hose are as well as a transfer of a burning smell or emission from the motor as well, although vinegar is chemical free it is not good to use on the inside of any machinery. Baking Soda is another home-remedy that has been touted as an odor solution to removing smoke odor from fabrics and clothes. Making a paste mixture consisting of water and baking soda, clothes are soaked in the paste for a period, most commonly several hours. However, while baking soda does have some properties that do remove odors, running your clothes that have been covered in a thick paste of baking soda and water will lead to filtration clogs and is not recommended for use in either top-load washing machines and High-Efficiency washing machines. What Do I Do When Home Remedies Fail? Inevitably, home remedies will not work to remove smoke odor from fabric. The solution is not to throw out all your clothes and fabrics and replace them all wholesale, that is both impractical and expensive. Harsh chemicals like bleach will strip your clothes and make them stiff, and uncomfortable to wear, let alone the damage to the colors of your clothes from using harsh bleach products. Masking clothes with harsh fragrances has not proven to be effective in removing the odor. While they may temporarily (very temporarily) mask the odors of smoke, harsh fragrances are known to cause some health issues of their own. 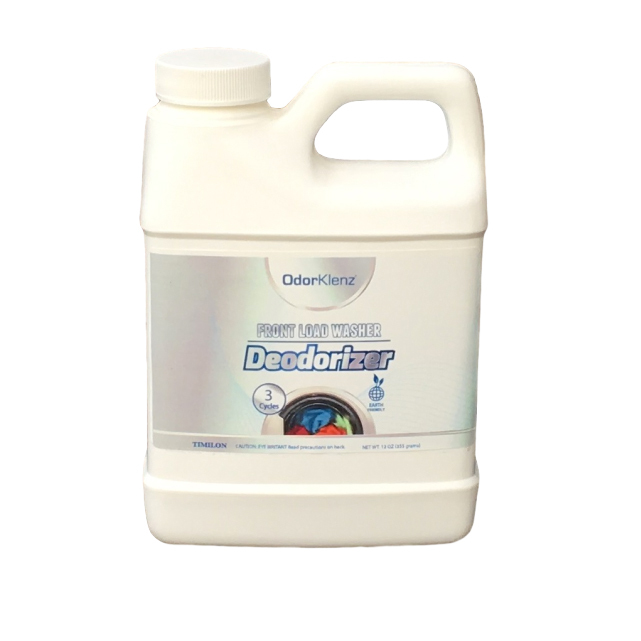 Using harsh chemicals to combat a harsh odor is not the answer. Smoke & Tobacco Odors can easily be as one of the toughest odors to remove from clothing and linens. Both ex-smokers and non-smokers can attest to the challenges that come with removing smoke odors, but the problem that most consumers face is finding a product that can remove smoke odors from textiles. Harsh chemicals have long been the only source to effectively remove smoke odor from clothing and fabrics. However, there is a product on the market now that does not contain harsh chemicals or heavy fragrances that only mask the smoke smell; instead of dousing clothes in chemicals with a result of smelling like a bouquet of lavender that was smoking like a chimney. 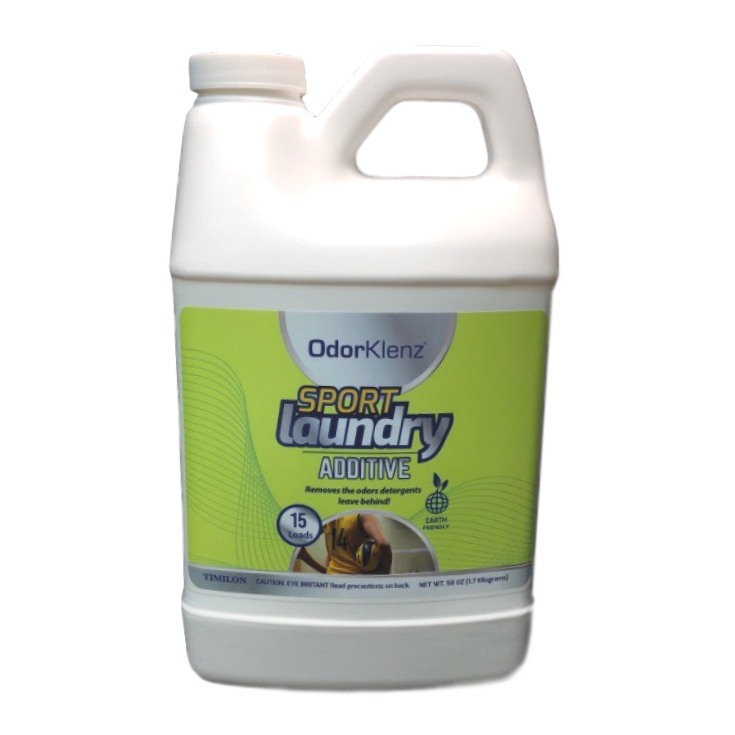 Developed with the revolutionary and innovative earth mineral technology, OdorKlenz’s Laundry Additive works on even the toughest odors, like smoke. 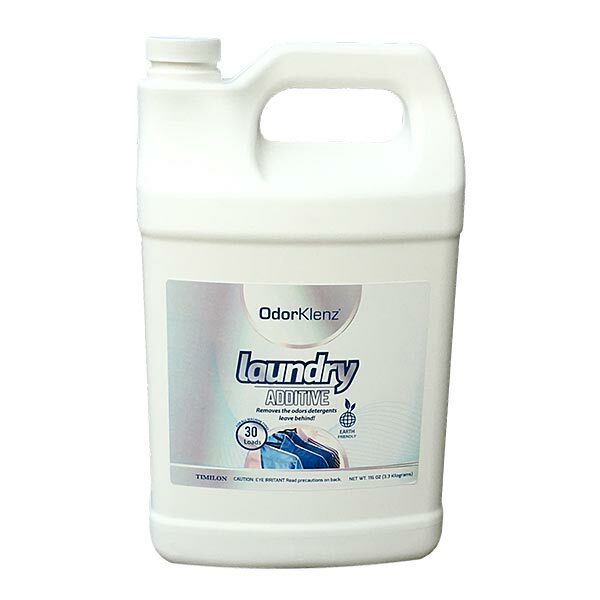 The Laundry Additive is specifically formulated to be strong and effective enough to remove odors, while not breaking down fabrics with harsh chemicals. 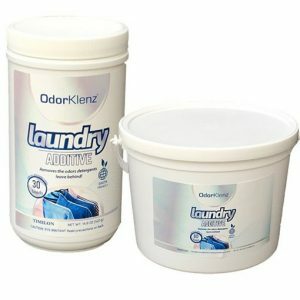 The additive can be used along with your normal detergent to remove a whole host of odors beyond smoke smell and like all OdorKlenz products the laundry additive is backed with a 30-day money back guarantee.